The Short Version: Some singles on a dating site are in absolutely no hurry to meet in person. They’ll chat online all day, every day, sending paragraphs upon paragraphs to complete strangers, and they’ll then claim they’re too busy to actually go on a date. Talking endlessly on a dating site or app can be frustrating for daters serious about meeting someone in real life and not just online. Fortunately, one groundbreaking dating platform offers a shortcut. JustAskMeOut is a dating site for London singles who don’t want to waste time in chats with people they’ll never meet. The site accelerates the dating process with innovative communication features requiring users to ask each other out immediately. No talking. No preamble. If you’re contacting someone, you’re asking them out. As a subscriber to JustAskMeOut, you’ll spend more time actually dating in the real world rather than chatting aimlessly online. It’s a fair point and reasonably argued. However, by taking such a fast-paced approach, he could give girls the wrong impression and come off as superficial when he’s just a nerdy med student trying to economize his time. That’s why JustAskMeOut is such a breath of fresh air for fast-moving daters like him. Based in the UK, this dating site offers time-poor London singles the chance to stop the endless online conversations and just go out already. The innovative dating platform dismisses instant messaging, chat rooms, and cyber flirting features. Instead, the site favors being upfront about what you want to save time. On JustAskMeOut, the only way users can communicate with one another is by asking each other out. When you sign up for JustAskMeOut, you’ll automatically get a free 24-hour trial Silver membership, which allows users to ask out three members per day and add private notes on profiles. The Gold Membership adds even more useful features, including asking out 10 people a day and seeing who’s checked out your profile. These subscriptions give daters the tools to make a date in the UK area with no muss and no fuss. 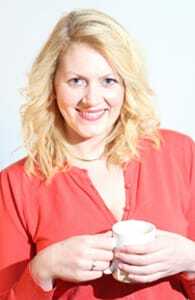 Alex got the idea for JustAskMeOut from her own experiences as an online dater for six years. She’d found three relationships with people she met online, but she also found herself impatient with such a slow and frustrating dating process. Trapped in prolonged conversations with guys she never ended up meeting, she longed to cut right to the chase and go on more dates more quickly. Alex Rowley, Founder and CEO of JustAskMeOut, values the direct approach when dating online. When Alex tried to move faster and ask a guy out sooner rather than later, her crush inevitably thought she only wanted a fling. In actuality, she just wanted something real. The slow-moving etiquette of online dating kept her from exploring her dating options as thoroughly and rapidly as she wanted. Alex decided the only way to make asking someone out immediately an acceptable online dating practice was to make it the only thing you could do. So she started a dating site with that premise. On JustAskMeOut, users have no choice but to ask one another out right away. Busy singles often don’t have the time or inclination to chat up perfect strangers for days upon days, but the status quo keeps them from moving too quickly and scaring away date prospects. That is, until JustAskMeOut upended traditional dating norms and promoted a faster way to connect with people online. From detailed profiles to advanced search features, JustAskMeOut is similar to any other dating site — except for the chat functionality. In effect, there is no chatting. You simply send out an invitation asking someone out on a date (anything from a gentle stroll to a game of table tennis). Your crush only has three pre-written response options: yes, no, or maybe but I need more information. If it’s a yes, you exchange contact information and go out and meet one another. Simple as that! The JustAskMeOut team encourages daters to think outside the box with their date invites. It doesn’t have to be either coffee or dinner — why not rock climbing? Or picnicking? You can find creative first date ideas on the site to help you brainstorm an irresistible romantic activity with that someone special. Users can anonymously invite a crush to join JustAskMeOut and grow the site through word of mouth. To help singles narrow down the dating pool, JustAskMeOut suggests compatible matches based on the personal information in the profiles. Users receive no more than three matches per week, so they’re not inundated with dating options, which makes browsing through date prospects more manageable and less overwhelming. Though it moves quickly, JustAskMeOut supports a personality-driven dating experience. The dating profiles on JustAskMeOut delve into a person’s basic details, personality quirks, looks, lifestyle, and dating criteria. The sections are optional but thorough. The more you fill out your profile, the more appealing you’ll be to daters eager to get to know someone new. According to a study published by the University of Chicago, couples who meet online enjoy higher levels of marital satisfaction than those who meet through more traditional means. The survey of over 19,000 participants in the US also indicated that couples who meet online are less likely to break up than other couples. David asked Nadia on a date via JustAskMeOut, and six months later they were married. So it’s no wonder JustAskMeOut has been such a success among singles looking for a real connection. It puts people on the fast track to love. 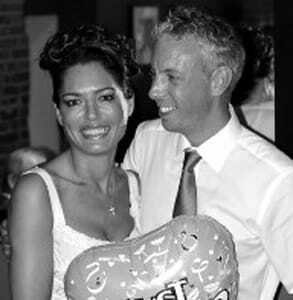 London couple Nadia and David, for instance, met on the site in 2013 and got married six months later. They were the site’s first wedding proposal, that the team knows of. Alex actually went to the wedding, and she met the man she would later marry at the reception. 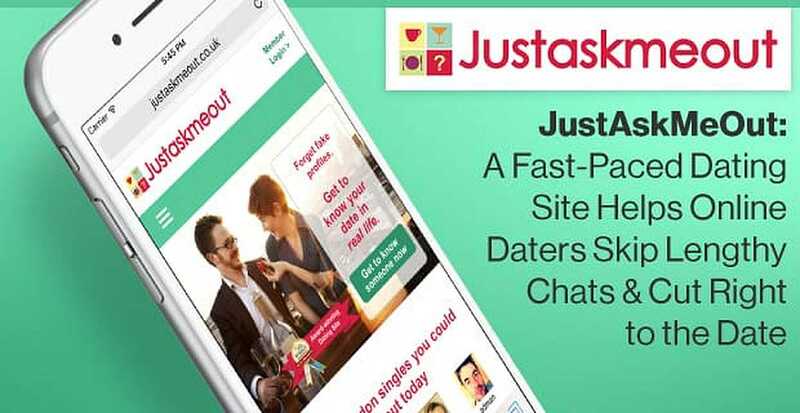 In 2015, JustAskMeOut was voted the Best Up-and-Coming Dating Site by the iDate Awards because of its user-friendly features and unique dating philosophy. JustAskMeOut believes the direct approach is the most successful approach, especially in online dating. In fact, the team feels so confident in the platform’s ability to pair up happy couples that they offer a money-back guarantee on all six-month subscriptions. In my experience with traditional online dating, it typically takes a few days (or even weeks) of idle chitchatting before a guy works up the nerve to ask you out. Generally, people waste time trying to feel you out online before taking the plunge into IRL dating. Unless they want a hookup, in which case they’ll usually say so pretty quickly and crudely. JustAskMeOut has revolutionized London’s online dating scene by making it easier to come right out and ask someone out. As one fast-moving date pointed out to me, this social norm makes for a time-consuming and aggravating dating experience where you end up in dozens of conversations that lead nowhere. And all you want is a date! JustAskMeOut helps daters in London and the UK cut through the nonsense and enjoy an active dating life in the real world. Everyone on JustAskMeOut is interested in getting out there and going on a date. The platform smoothly transitions singles from online introductions to offline connections with straightforward communication tools. The site’s unique functionality takes a lot of pressure off the online conversation by allowing daters to get straight to the point, assess chemistry in person, and make a real connection with a real person.